Dylan Scott was born and raised in Bastrop, Louisana where he learned to play the music as a child. At 15, Scott visited Nashville, Tennessee with his father, a guitar player for many country acts including Freddy Fender. It was during this trip that Scott would meet the man who would become his manager and still is to this day. During his late-teen years, Scott would make the decision to pursue music professionally and at the age of 17, recorded a 4-song demo with songwriter/producer Charlie Craig. This demo would lead him to sign with Curb Records prior to his 19th birthday. With a label contract in place, Dylan Scott released his debut single “Makin’ This Boy Go Crazy” on Curb Records in 2013 and would release his debut EP of the same title in 2014. With new music in the works, Scott released “Lay It On Me” at the end of 2014 followed by “Crazy Over Me” in early 2015, the latter would go on to crack the Billboard Country Top 40 in 2015. 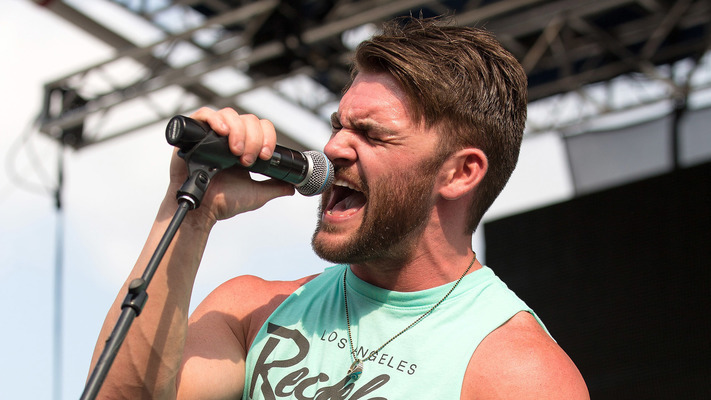 There was no slowing down for Dylan Scott as the release of his single “My Girl” hit No. 1 on the US Country Airplay chart in 2016 followed by the Top 20 single “Hooked” in 2017. Dylan Scott released his self-titled debut album on August 12, 2016.